Our event calendar is your center for happenings along the Delaware River. Wheat & Sheep Day is set for Saturday, April 27 at noon at the Thompson-Neely Farmstead and Grist Mill, part of Washington Crossing Historic Park (PA). At this family-friendly event, watch as the Thompson-Neely sheep are shorn of their wool using period-accurate techniques and tools. You’ll also learn to make colonial-style pancakes, see how sheep’s fleece was used by colonists for clothing, watch a cooper create barrels, and tour the Thompson-Neely House and the Grist Mill across the street, which were both part of an 18th century farmstead. Admission is $8 for adults, $4 for children ages 5-11, and free for those under 5. Please join us for a very special event – the screening of “Fire and Ashes, Making the Ballet Raku,” followed by a discussion and performance by Mark Roxey and members of the Roxey Ballet Company. Then stay for a reception in our lobby! Saturday April 27 6pm. Mark Roxey, Director and Founder of the Roxey Ballet Company, professional dance company of Mill Ballet School, Lambertville NJ, will speak about the choreographic process and where he gets his inspiration and ideas for choreography and production design. Professional artists from the Roxey Ballet Company will present excerpts from some spring season works, including Carmina Burana, Cinderella, and We vs. C.
“Fire and Ashes” is an engaging one-hour film that goes behind the scenes with composer Shinji Eshima and San Francisco Ballet resident choreographer Yuri Possokhov as they recount their collaboration with the original cast of RAkU. It brings together a confluence of eastern and western cultures in music, literature, philosophy and dance. Raku pottery prizes spontaneity in the interaction of fire and falling ashes and this stunning documentary and performance film capture the beauty of both traditional Japanese pottery and the novel The Golden Temple, by the Japanese author Mishima. We are super excited to announce that grammy award winning entertainer Melissa Manchester (yes, THAT Melissa Manchester) will be bringing us an intimate night of music to benefit Lulu's Rescue!! We are super excited to announce that grammy award winning entertainer Melissa Manchester (yes, THAT Melissa Manchester) will be bringing us an intimate night of music to benefit Lulu’s Rescue!! Popular local singer/songwriter Russell Norkevich will be opening the show at 7:15. Don’t miss this opportunity to see Melissa Manchester and help Lulu’s save more dogs at the same time! Start your week off with a relaxed mind and open heart. The Market will open early on Sundays for a small yoga class. All levels are welcome to bring a mat and enjoy the morning with neighbors and friends. Afterward, stay and explore the Stockton Market and its unique vendors. Drop in rate is $7 per person for a 60-minute class. On the morning of Sunday, April 28, join Peddler’s Village and Autism Cares Foundation for a 1/2-mile Family Fun Walk through the Village. The cost is $10 per person, with proceeds benefiting the Autism Cares Foundation. Children 12 and under will receive: an unlimited bounce house wristband, a free craft, a carousel ride at Giggleberry Fair, and a Giggleberry Fair Activity Pass to use that day or a future visit (No Exp.date). Guest appearances by Doc Mcstuffins, Olaf, and PAW Patrol’s Marshall. Be sure to stick around after the walk and join us for Spring KidsFest from 11am-5pm. Herbal medicine has been practiced for thousands of years around the world and has evolved in the United States influenced by the original inhabitants of this land and those who have come after, bringing traditions of every continent with them. American herbalism has evolved to reflect these traditions, creating a unique practice that pulls from both folk and clinical traditions, from every continent and many cultures. Linda will discuss historical traditions and their impact on herbal medicine today, ethical considerations of practicing plant medicine with wild and cultivated plants, the dizzying selection of products in the herbal marketplace, basic herbal terminology and herbal preparations. Linda will bring samples of herbs and herbal creations to see, feel, smell and taste. Space for this event is limited, please register online to reserve your spot in advance! Feeling anxious and uncertain about your child’s current learning environment? Looking for a solution where your teen can enjoy learning and be supported in creating a life they love? RLC runs a full-time program for teens 12-18 years old. We know the ins and outs of the options available outside of traditional school, options that approach learning in a profoundly different way. And we know the steps to ensure your child has every opportunity available to them, including college, even if they step out of the school system. It is actually quite simple. Vamos Flemington Health Week! Humor Me! Benefits of Laughter with Joey Novick. Free Workshop! Humor Me! Benefits of Laughter with Joey Novick. Free Workshop! Join Whitey McVickers every Monday at the Riegelsville Inn for Open Mic Night from 7pm – 10pm. 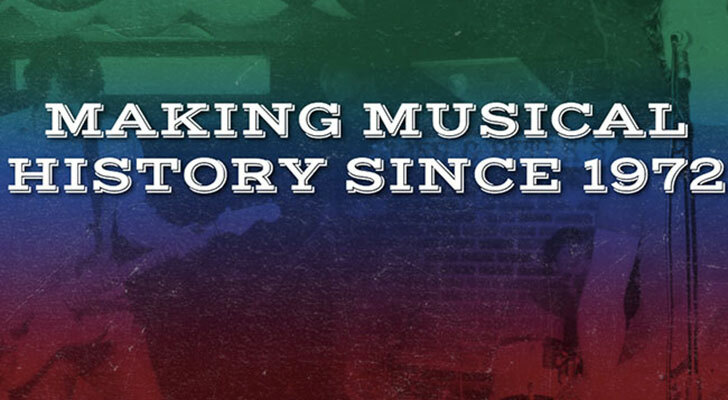 Showcase your talent to a truly music-loving crowd! No cover charge! The Ship Inn is incredibly excited to finally feature a 5-Course Bourbon Whiskey Dinner! We’ve done Scotch and we’ve done Irish and we’re thrilled to feature the best America has to offer 2 days before the Kentucky Derby! Join us at 7:00 pm Thursday, May 2nd as we roll out some of our absolute favorite Kentucky Bourbons! We’ll enjoy 5 bourbons and an authentic Kentucky 5-course meal! The event will run from 7-10 and will be $49.95 all inclusive. Be sure to call ahead for reservations! This event will fill up fast! And don’t forget…all members of our new Whiskey River Club get a $5 discount for all events! Opening day will have many opportunities for you to experience the museum and agricultural history of our community. The whole gang will be there demonstrating some old time farm tools and toys and giving tours of the museum. Also displays by Delaware Valley Old Time Power Equipment Association, Hunterdon County 4H Fur n Feathers Club, Old Fashioned car road rally to arrive after noon. Black River and Western RR will be giving a demonstration and have some rail work equipment in use to see. Johnson Family Ice Cream will have their delicious ice cream for sale. NJ State Holstein Dairy Bowl Team will be selling some drinks and snacks. Something for everyone, the young and the young at heart!! Bring a picnic and spend the day! We’ll have the rope maker and corn grinder ready for you to try your hand at, as well as demonstrations of a potato sorter and egg grader! See an Old-fashioned dentist’s office! Blacksmiths will be at work. Tractors and Hay! The ninth annual Washington Crossing Spring Brewfest – which sells out every year – will be Saturday, May 4 from 12:30 to 4:30 PM in a riverside section of Washington Crossing Historic Park (PA). The event features sampling of at least 130 beers from more than 60 regional and national breweries, live music and multiple food vendors. The brewfest is held by the Friends of Washington Crossing Park and supported by the First National Bank of Newtown. All proceeds go directly to educational and historical programming in the park. Tickets will be sold online only at WashingtonCrossingBrewfest.com. Tickets are $40 from February 1-14 and $45 starting February 15. A very limited number of designated driver tickets are available for $10. Seamus Kelleher was born in Galway city in 1954. The youngest of five children, he studied piano at age nine and continued to do so until he picked up the guitar at age fourteen. Within a few weeks, Seamus knew what he would be doing for the rest of his life. By age 15, he was performing acoustic concerts at venues all over Galway. By 16 he joined a rock group called Spoonful where he switched from acoustic to electric guitar. He quickly developed a reputation for his flamboyant blues-style guitar often opening for bands such as Thin Lizzy. Seamus toured the US in 1974 with a band called Rock & Roll Circus. Shortly after the tour, he packed his bags and moved to New York where once again he quickly developed a large following. He performed all over the US and Europe with the Sean Fleming Band. In 1996 he joined forces with Blackthorn, Philadelphia’s legendary Celtic Rock band. Seamus did more than a thousand shows with Blackthorn. In 2010, Seamus decided it was time to embark on a solo career. In just a few short years, he has put together a show that combines comedy, storytelling. virtuoso guitar playing and a wonderful collection of original and unique cover material. His shows are not for the faint of heart. He will keep you on the edge of your seat for hours so fasten up and enjoy the ride! Peter Bogdanovich directed Tatum O’Neal to an Oscar as the orphaned accomplice of a con man. Ryan O’Neal, Madeline Kahn (Best Supporting Actress nominee). Filmed in Kansas and Missouri. It’s time for our 4TH ANNUAL COLOR RUN! Join us in coloring our community this spring at our Run / Walk 5k event. Teams and groups are welcome. Bliss (A local jewelry clothing and accessory boutique), is providing bubbly, hor d’oeuvres, and an open house to shop at will for mom, or any special person in your life… including you! SF return to Triumph in New Hope - one of our fave spots! With all 5 Failures (Greg Potter on board). SF return to Triumph in New Hope – one of our fave spots! With all 5 Failures (Greg Potter on board). We’re thrilled to have some of our favorite musicians joining us on May 11th! Rob Viola and the Mad Rockin’ Dukes will be in the house to rock the night away! Come on out for a great time! We’re thrilled to have some of our favorite musicians joining us on May 12th! Rob Viola and the Mad Rockin’ Dukes will be in the house to rock the night away! Come on out for a great time! 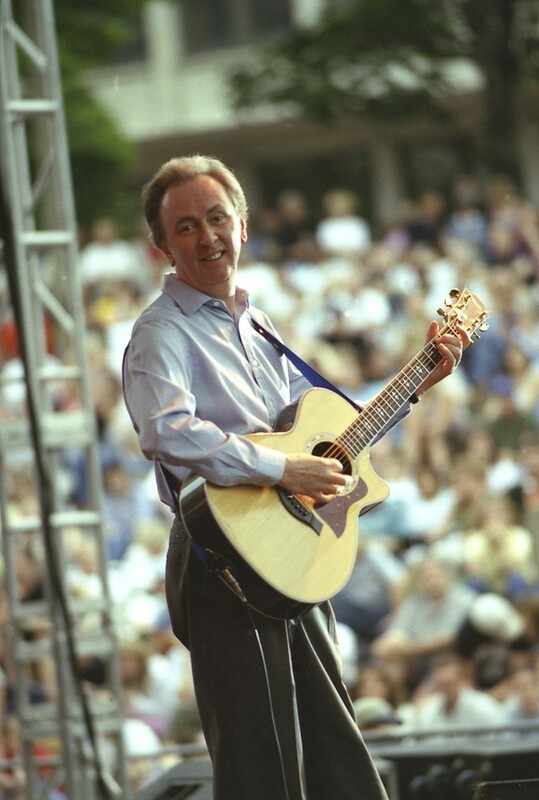 Ask Al Stewart to sum up where he is now, musically speaking, and you’re likely to wind up two steps behind where you started; this is by no means an unusual circumstance in conversation with Al, keenly aware as he is that making a leap forward often entails taking a step backward. Sometimes it’s into the library stacks where the late historian Ms. Tuchman dug for material. Sometimes it’s into the record stacks where the late rocker Mr. Cochran made his mark as a teenager singing his “Summertime Blues” so many summertime’s ago. New Belgium Brewing experts will be guiding our guests through a premium range of brews reflective of the summer season ahead. All those in attendance will enjoy a tapas and fromage & charcuterie pairing. Join the Friends of the Free Library of New Hope Solebury (FOL) on the Third Thursday in May in the garage bay of Ferry Market for our Poetry Don’t Slam (that beer) Event! The FOL is excited to provide a space where our community members have an open platform to express their original written art in the form of poetry or spoken word (no instruments please). Don’t have your own poetry but want to read something that has inspired or moved you? – that’s okay too 🙂 Just make sure to give credit where credit is due. 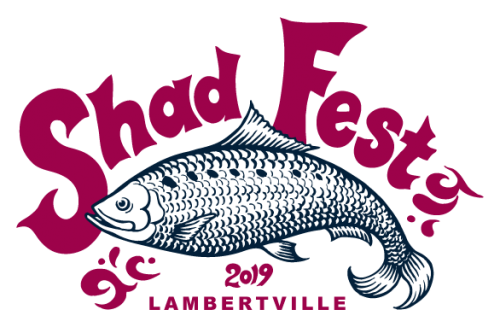 The FOL is working in partnership with Weyerbacher, Politi’s, and the Pork Shack; who will each be donating 10% of their proceeds made during the event to the FOL! So Come HUNGRY + THIRSTY…. and Weyerbacher is providing each participant (who are 21+) with one free beer! Sign up starts at 6:00 and reading start at 6:15/30! All monetary donations collected by the FOL (you bet your patootie we will have a collection bucket) go to support the NHS Library! Born in his native Ardboe, County Tyrone,Raymond Coleman, with his unique, rich melodic vocals he is quickly making a name for himself in the Irish/American music world. He has an unusual inborn ability to tell a story as he sings with a robust yet often gentle timber in his voice. He sings and plays the guitar with ease and his natural ability will carry you along on his singing journeys. With his vast knowledge of music, you never know where that voyage may lead you. You will enjoy the songs along the way and often won’t want the trip to end. Raymond now lives in in Philadelphia, so you can catch one of his magical music journeys in many different Irish/American pubs or clubs along the east coast. Doylestown Airport Open House! May 18th 2019 (rain date May 19th). Spring Wine & Food Festival Saturday, May 18, Noon to 5 pm. Enjoy samples of wine, beer, spirits, food...and much, much more! Drinks, cheese boards and selected food items available for purchase. Saturday, May 18, Noon to 5 pm. Enjoy samples of wine, beer, spirits, food…and much, much more! Drinks, cheese boards and selected food items available for purchase. No outside food or beverages permitted. Event takes place rain or shine. Reservations suggested. All ticket sales are final. Cost: $20 per person in advance. (buy on-line and save!) $25 on the day of the event. Come early for Bob’s show… Stay Late and Get Down! Join us for a fun-filled evening. Get down with a classic New Hope dance party as we reminisce with a classic disco from the Cartwheel and the Prelude. Special guest DJ for NYC “Mikey Mo”. Lighting and sound provided by On Track Productions. Tito’s Vodka & Templeton Rye Drinks Specials. Special surprise guests appearances. Co-hosted by NHC & Bonfire Bar & Grill at the Clarion. Pride Open Mic Night with Bob Egan & Co-Host Lou Ruvolo a special pride event – Please be our guest for a fabulous early evening of Cocktails and Sign along – guest performers and singers welcome. Advance purchase General Admission: $15.00 – Gives you access from 6pm – 2am for all of the fun! Show your bartender at Great Barn the Lambertville New Hope app on your mobile device and earn loyalty rewards points. Download & Create a profile on the Lambertville New Hope App to participate. Join us for NHC’s annual Sunday Funday Pride Party at the Clarion in New Hope, PA! Hosted by NHC, Tito’s Handmade Vodka, & Templeton Rye. Poolside we will have DJ KRK and special performances by Sapphira Cristal and other special guests! There will be drink specials, a hot dog bar, fun and Come as you are! Our Woman of the Year dinner will feature the New York comedian Robin Fox. Seats are $45 per person. Please reserve your seat by April 19 at https://conta.cc/2Qsw1mu. Did you know that for more than 170 years, the Delaware and Raritan Canal has meandered across the narrow waist of New Jersey? Did you know that the D&R was one of our nation’s most successful towpath canals, carrying more tonnage in 1866 than the more famous Erie Canal? Did you know that Johnson & Johnson, Roebling, and Fleischmann’s Distillery all had their start along the D&R? And did you know that the canal provides the people of central New Jersey with both a water supply and a premier recreational facility? Canal author and historian Linda J. Barth will introduce you to the people, the bridges, the locks, and the aqueducts that made the canal work. This waterway, now the centerpiece of a popular state park, transported men and supplies between New York and Philadelphia during three wars. Inventor John Holland used the canal to deliver his Holland VI submarine to Washington for its Navy trials, and luxury yachts, like J .P. Morgan’s Tarantula, cruised the waterway. Come learn more about this gem of central New Jersey. Linda Barth has been a fan of New Jersey for a long time. As a fourth-grade teacher, she tried to focus students’ attention on the positive aspects of our state: its diverse geography, history, agriculture, industry, and famous firsts and inventions. A lifelong resident of the Garden State, Linda has written two books on the D&R Canal for Arcadia Publishing and two children’s picture books: Bridgetender’s Boy, published by the National Canal Museum in 2005, and Hidden New Jersey, from Charlesbridge Publishing in 2012. A History of Inventing in New Jersey: From Thomas Edison to the Ice Cream Cone, published by the History Press, was released in 2013. With her husband she has published The Millstone Valley Through Time and Somerville Through Time. She has also contributed to the Encyclopedia of New Jersey. She has just completed New Jersey Originals, volume two of New Jersey firsts and inventions.